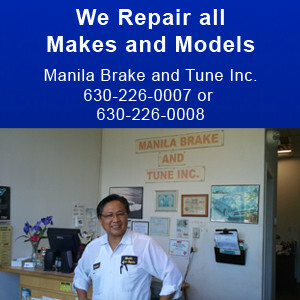 If your car is not working for whatever reason, bring it to the experts at Manila Brake and Tune Inc.We repair all Asian, European and Domestic Vehicles. Our technicians have years of experience in auto repair. We provide the best in front end service, including tune-ups, oil changes, and any necessary repairs.